Your time is valuable and the last thing you want to do is learn another new technology. I get it. That’s why I created this training for you. 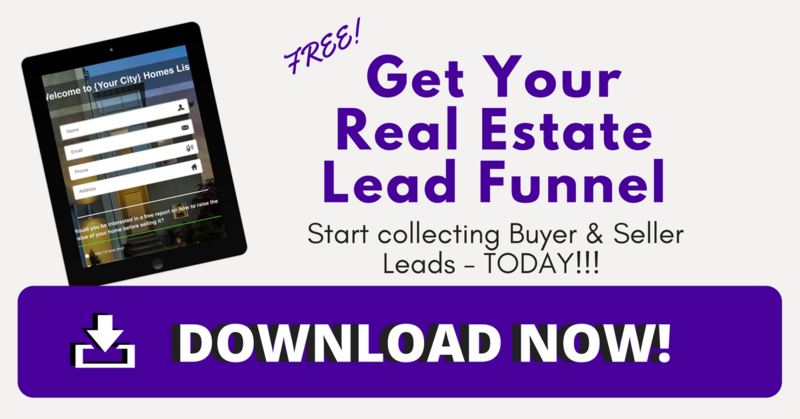 It’s actually quite easy to set up a real estate sales funnel that will bring a constant flow of buyer leads for real estate agents. And to make it as easy as possible, here’s a FREE Real Estate Leads Funnel that’s been tested. I created it a few months ago for a friend of mine who’s a Realtor. 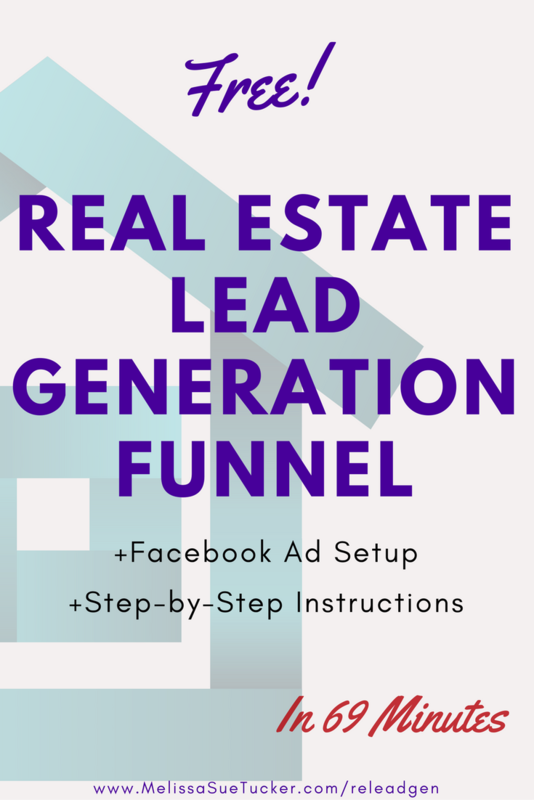 We tested it with Facebook Ads (the same process I’ll show you in this guide) and she gets real estate buyer leads for less than $23 per lead. Click here to get this funnel & set up your free account trial. Set up your Facebook Ads and start collecting leads. I know, FB ads can be confusing and overwhelming. That’s why I created this tutorial to walk you through the process. Watch the video & click here to get the free Real Estate Sales Funnel Template. If you don’t already have a Click Funnels account, you will be prompted to set up your account. Click Funnels will you give a 2-week FREE trial. That’s plenty of time for you to test the automated lead gen process. Click Funnels makes it really easy to put your account on hold or cancel it if you don’t love the software. Watch the video & let’s customize that new lead gen funnel! You’re welcome to use the images that are already in the real estate lead capture funnel. I downloaded them from Unsplash.com and gave credit to both the photographer & Unsplash. I do not think that’s the BEST idea though. You’re going to get better results if you have images of homes that are native to your city or area. Here’s a short step-by-step video showing you exactly how easy it is to change different images in Click Funnels. Facebook Ads can seem really overwhelming. Honestly, they can be. And people can lose a lot of money. However, they don’t have to be overwhelming and you don’t have to lose money. Here’s a short video showing you exactly what to do in order to start collecting leads on Facebook. We’re going to start at $5 per day. You can scale up after 3 days (72 hours) if the ads are performing. If you do decide to scale up after 72 hours, only increase the budget by 50%. For example: if you start out at $5 per day and you’re getting some good results, then you can increase the daily spend to $7.50 per day. If you increase it by more than 50% you run the risk of messing up the Facebook algorithm and wasting money. 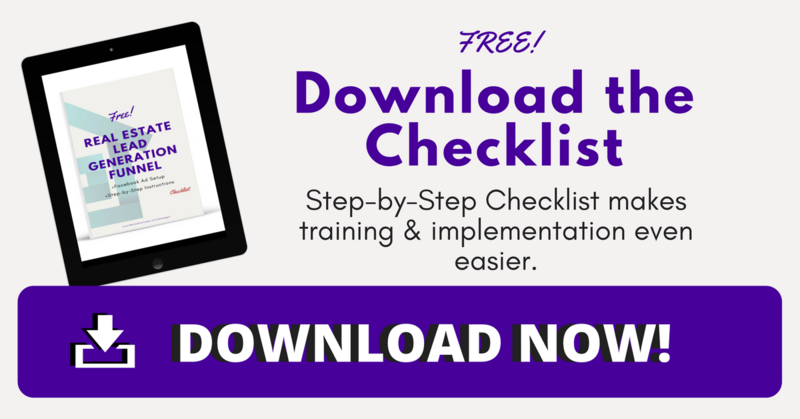 This part is the hardest part, and the part you are already a Real Estate Rock Star at! Some online leads won’t turn into anything. That’s ok, give them amazing service…you never know who they may refer to you down the road. It’s all about Karma, Baby! Some people that you attract into your real estate funnel are at the very beginning of their home buying journey. They might not be ready to move for 6-12 months. You’ll need to give them information, build that relationship, help them along the process. Some people who give you their contact information will be ready to buy & sell, NOW! Those people will want you to contact them and start the process ASAP. In conclusion: In this mini-training session you’ve learned how to generate real estate buyer leads (and seller leads) on autopilot.